DCG is pleased to welcome pyschiatric nurse practitioner John Bova to the DCG team. John believes in a team approach to mental health, therefore, he works closely with his referral sources to identify the intricacies of the client’s case. He appreciates the complexity that each case provides and is extremely thorough in his diagnostic evaluations and medication follow-ups. Initial consultations are approximately 60-75 minutes long and each follow up appointment is 30 minutes. Vitals are taken at appointments and medications are managed closely in order to detect any potential problems. John prescribes most psychotropic medications for mood stabilization, depressive or anxiety symptom reduction. In addition, he will prescribe stimulant medication when he has received a confirmed ADHD diagnosis. John will not prescribe MAOIs, pain medications or injectables. Currently, John sees clients on Mondays and is accepting new clients ages 16 and up. Welcome child/adolscent therapist Sarah Sparhawk, LPCC. Sarah comes to DCG after 10 years at Nationwide Children’s Hospital’s Center for Autism Spectrum Disorders. While there, Sarah served as a case supervisor and an outpatient therapist serving children and adolescents who have been diagnosed with autism, behavioral, and emotional issues. She has extensive experience treating oppositional defiant disorder, obsessive compulsive disorder, ADHD, anxiety, phobias, and depression. She integrates play therapy, art therapy, and cognitive behavior therapy to meet each client’s needs. In addition to empowering children to navigate the everyday stressors that accompany mental health issues, Sarah uses a systems approach with families to help her client’s improve socially, emotionally and behaviorally in all settings. She does this by leading parenting workshops, advocating for clients at Individualized Education Program (IEP) meetings, and collaborating with schools to create an effective intervention plan for each client. Sarah adopts a holistic approach to counseling and works diligently to help her clients meet their full potential. Sarah works with clients ages 6 – 22 and currently has openings on Monday afternoons and evenings as well as every other Saturday. Welcome bi-cultural specialist Nori Shoji-Shaffner, PhD, LPC-CR. Nori joins us from Alpha Psychiatric Services. While there, she gained expertise in treating patients who were diagnosed with various personality disorders, bipolar disorder, schizophrenia and other major mental health issues. Nori also offers expertise in bicultural issues specifically related to the Asian community. Her fluency in the Japanese language has allowed her to counsel many clients who’ve faced significant challenges due to the cultural differences presented in the U.S.
Nori also has a PhD in Organizational Leadership with a concentration in Human Resource Development. She is available for consultations and speaking engagements to help companies who are seeking improvement in leadership and HR issues, with special emphasis on multicultural issues and ethical responsibilities in a diverse work environment. Nori is currently accepting new adult clients on Thursdays and Saturdays. Travis Somers joined DCG in the summer of 2015. He received his Master of Arts in Clinical Mental Health Counseling from Ashland Theological Seminary and has worked in a variety of settings, providing services for individuals of all ages. Travis enjoys helping people restor relationships, decrease anxiety and depressive symptoms, manage grief or anger and overcome addictive/impulsive behaviors. He aims to provide a place of peace, unconditional affirmation, and most of all, hope. Travis is currently pursuing his certification as a Chemical Dependency Counselor. Kristin (Kris) Batcheck is our newest professional counselor-clinical resident at DCG. Kris completed her internship at DCG and is a recent graduate from Ashland Theological Seminary in Clinical Mental Health Counseling. Kris has received extensive training in trauma treament and currently works with adults and adolescents who are seeking recovery from various experiences. She is trained in EMDR and uses this method of treatment frequently in sessions. In addition, Kris will be counseling individuals who are struggling with substance addictions and dependency. She is currently pursuing certification as a Chemical Dependency Counselor. Directions Counseling Group is now releasing short videos highlighting various mental health conditions. Each 2-3 minute video is designed to give a brief overview of a mental health issue or a form of therapy. Attention Deficit Hyperactivity Disorder (ADD/ADHD) is one of the most prevalent and misunderstood conditions in the world, according to Sarah D. Wright, ADHD Awareness Month Coalition Chair. Directions Counseling Group has joined this education movement to create greater awareness and understanding about attention deficit disorder by preparing a short video entitled “Adult ADHD – what others see and what’s actually taking place,” which can be found on YouTube. Leslie Marshall, MA, LPCC-S, Chief Operating Officer at Directions Counseling Group, specializes in adult ADHD and states, “My hope is that when adults with ADHD see this, they have a moment when they realize, ‘There’s a reason why my brain works like this’,” says Marshall. “Our goal is to educate men and women about ADHD, to dispel myths that keep people from seeking appropriate treatment, and to provide tools to help minimize the impact of this disorder,” she continues. In addition to communicating effectively with a child-client, there is also tremendous value placed on the environment in which the therapist meets with the child. 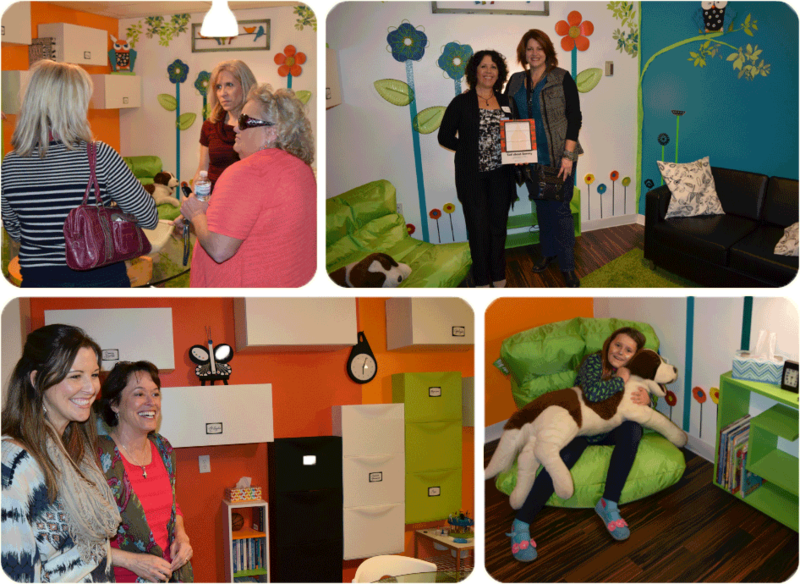 With that in mind, Directions Counseling Group has just completed a major renovation of the Play Therapy Room and held a grand opening celebration on Friday, October 24. We carefully selected colors, toys, games and other creative mediums that will help children express themselves. In addition to being therapeutic, we are confident that children of all ages will enjoy coming to counseling when they experience this inviting, safe space. We proudly welcome Michael Bayda, MSW, LISW-S, CTS. Michael has worked with children and adults in the mental health field for nearly 30 years and has extensive training in a variety of areas. Read more about Michael Bayda MSW, LISW-S, CTS. Brian Davis, LISW-S, SAP, founder of Directions Counseling Group and New Directions Substance and Behavioral Services, will be speaking at the December 6th Ohio Association of Criminal Defense Lawyers on the topic of substance abuse.